US citizen David Rayburn killed his wife, his step-son, and himself. Years later, an encrypted text allegedly written by him emerged. This cryptogram is unsolved to this day. On February 2, 2004, 44-year-old Linda Rayburn and her son from former marriage Michael Berry (23) were beaten to death with a hammer at their home in Saugus, Massachsetts. The murderer was Linda’s husband David, an unemployed internet technician. After his double homicide, David Rayburn committed suicide. I know this is going to sound like a plot from a movie. It isn’t. A very good friend of mine Linda Rayburn and her son Michael Berry were brutally murdered by her husband…the son’s stepfather. They were murdered on February 3rd, 2004. He then hung himself in the basement of their house. He left behind a number of disturbing items. 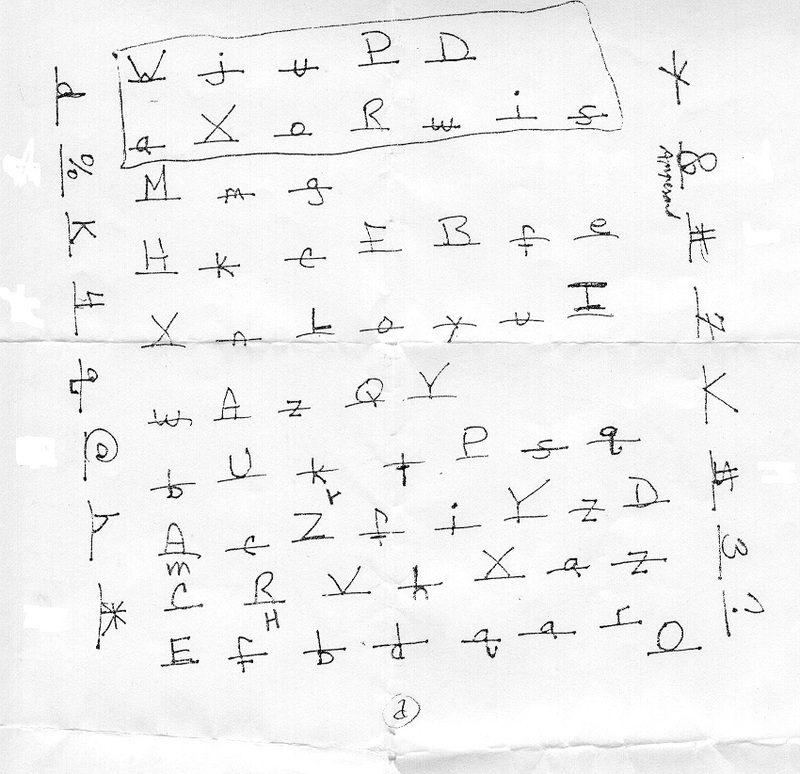 However, the most intriguing is a cryptogram handwritten on paper utilizing letters, numbers and symbols from a computer keyboard. Linda’s daughter Jenn was the one who found the bodies. Jenn is a very good friend of mine and I told her I would do everything within my power to see if this cryptogram is truly a cryptogram with valuable information or if it is a wild goose chase to keep us occupied and wondering forever what it means. It comes as no surprise that the Rayburn cryptogram caused a long discussion on Bruce Schneier’s blog. Of course, there’s no guarantee that this encrypted note was really written by the late murderer David Rayburn. However, if it was, it would be very interesting to know what it means. So far, nobody has come up with a plausible solution. 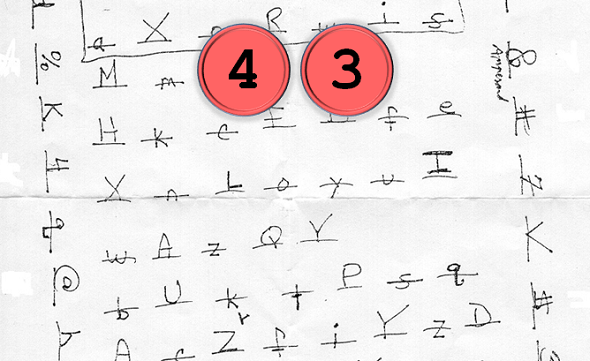 The cryptogram consists of about 80 characters, all of which are underlined or crossed out. Most characters are (uppercase and lowercase) letters. A frequency analysis is obviously useless, as most characters appear only once. The central part of the cryptogram is left-aligned, which suggests that the author wrote from left to right. In December 2013, I published a blog entry (in German) about the Rayburn cryptogram. My readers couldn’t solve the mystery either. To me the Rayburn cryptogram looks like a diagram showing certain objects (e.g., people or cards) that are arranged on a plain. The maker of this diagram might have made it to cross out (or underline) each object after he had taken a certain action. However, this is just a thought. Further reading: The National Cryptologic Museum asks: Who knows this man? Looks like a note for passwords to me. Lower and upper case letters, numbers and special characters. I aggree with Hendrik password list. AND: Lines and underlines are only used to distinguish uppercase and lowercase. That this is not allways correct doesn´t matter since the author still can read it. The “ampersant” note is just for to make sure that it is an & and not an 8. Sounds good, and the characters in the margin were written when he learnt that using numbers and special characters makes passwords still more secure. 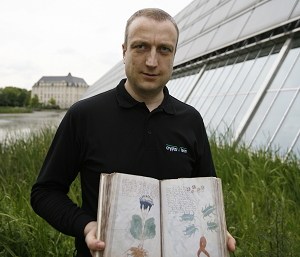 (When did Klaus write his first article about password security?